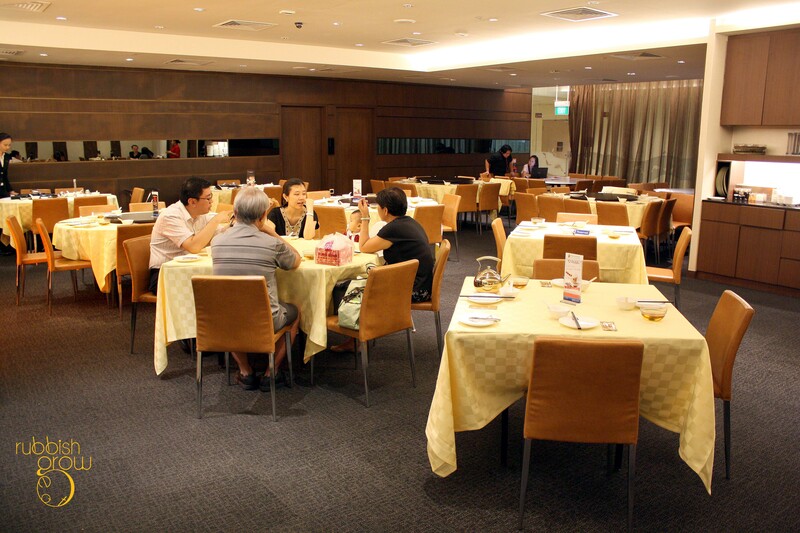 The choices of broth include herbal ($5.80), a traditional herbal chicken soup boiled for five hours; superior broth ($5.80) of old hen (老母鸡) and pork ribs; tom yum ($5.80); laksa ($5.80); and Chinese rice wine 黄酒 ($12.80), signature broth, slow-boiled (老火) with premium Chinese rice wine, old hen, wolfberries, wild black fungus and hints of ginger. We sampled the Chinese Rice Wine broth and the laksa. The former reminds us of the food tonic, chinese wine chicken (stained red), for postnatal women. Which means the broth is sweet and nourishing. The laksa is thinner than the usual laksa to avoid jerlat-ness or excessiveness. But as the steamboat went on, the laksa got thicker and sweeter. Very tasty at the end. Photography for steamboat is difficult because photos of raw food don’t look quite as appetizing as it should. The seafood are very fresh. The fish was still swimming hours before we ate it. 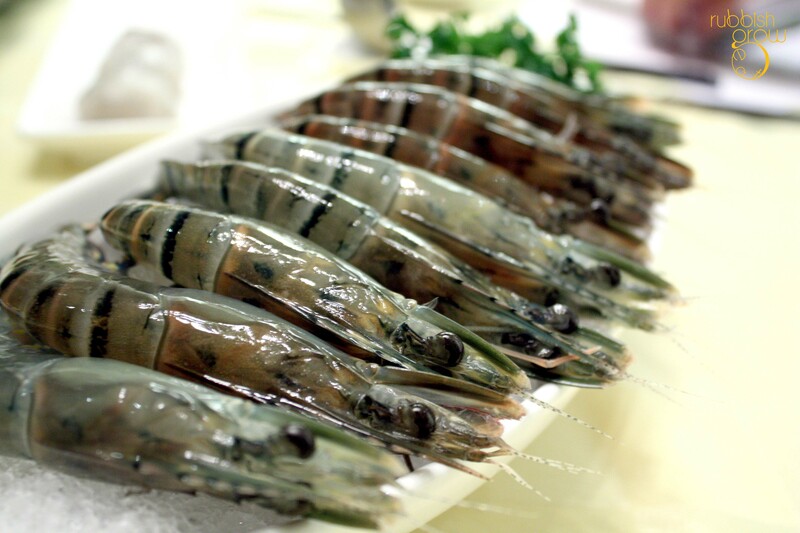 My throat itches whenever I eat bad prawns so my throat is a very accurate litmus test to prove that the prawns are extremely fresh. No itch at all. 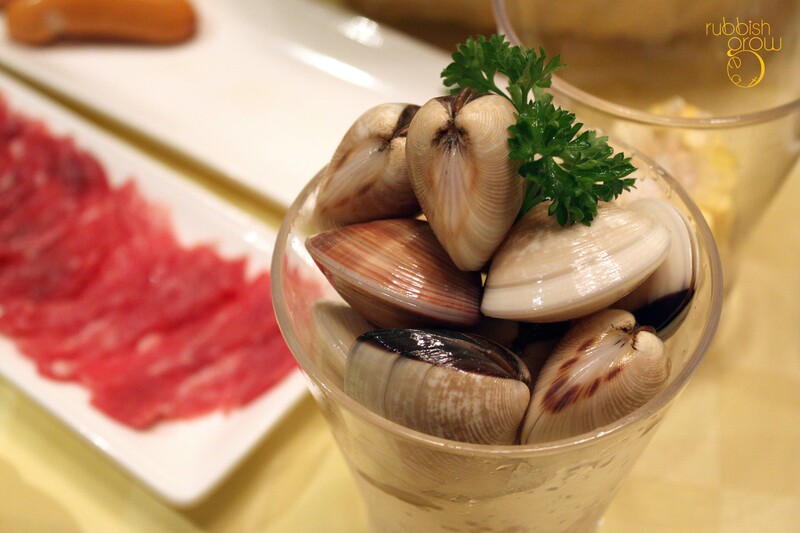 For the seafood section, you may skip the flower clams because the purpose of clams is to sweeten the soup and the soup is already sweet enough. However, everything else that we feature in the photos deserves to be ordered. One item that isn’t shown is the handmade prawn balls 手打虾丸 ($12.80/6pc) which come as oblate spheroids in light gray, the color of uncooked prawns. But when you cook it, it transfigures and fluffs up to a bouncy orange full-fledged sphere. And my throat still didn’t itch, which means the balls are made from fresh prawns. From the meat section, we had the wagyu beef and kurobuta pork. What can go wrong with top-quality meat? 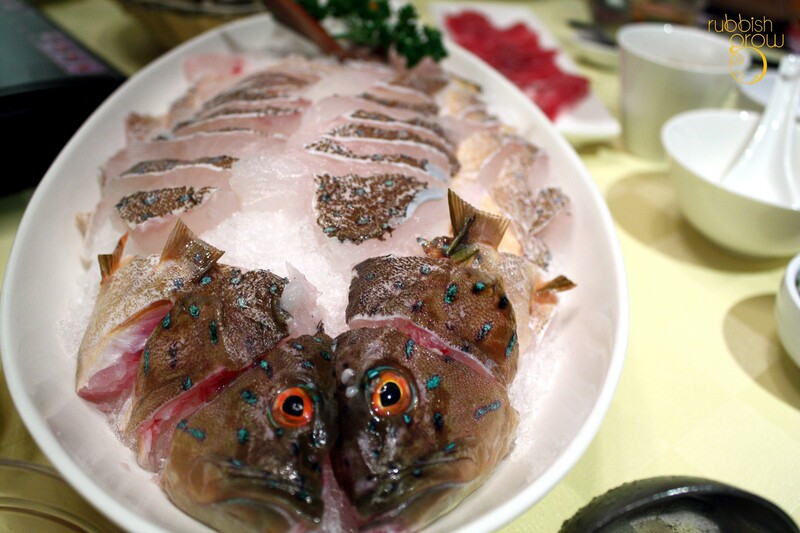 One thing we’d prefer is that the meat is sliced into thicker pieces so that there is more mouthfeel 口感. 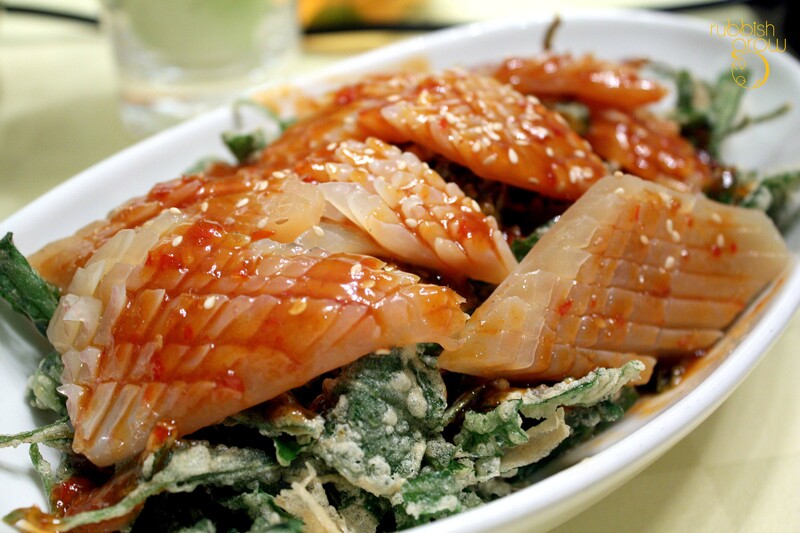 Besides the seafood and meat, there are other things you can throw into the steamboat: fried yam 炸芋头 ($2.80), baby cabbage 娃娃菜 ($3.80), pearl corn 珍珠玉米 ($3.80) and fried fish skin 炸鱼皮 ($5.80). 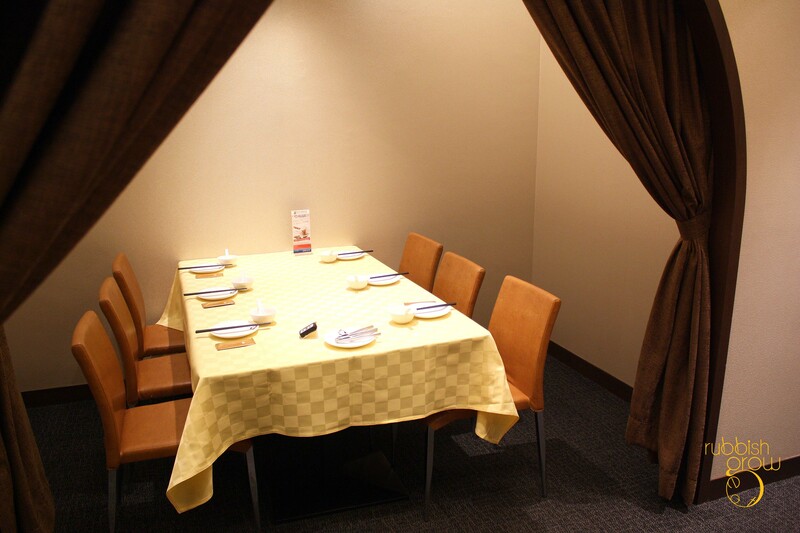 The last item could be eaten on its own or dip quickly in laksa. 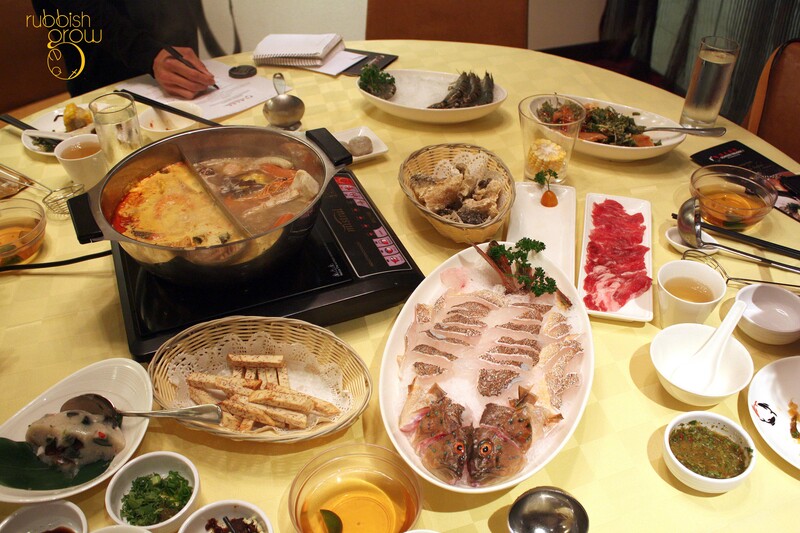 Besides the steamboat, there are, of course, the cooked dishes. The famous crispy Kang Kong topped with cuttlefish in homemade seafood sauce 酥炸鲜鱿通心菜 ($14.90) is more like tempura leaves, so crisp and not at all oily, garnished with perfectly cooked cuttlefish, that is chewy but not tough, in a chili sauce almost similar to Maggi chili sauce. Dah dah dah dah! 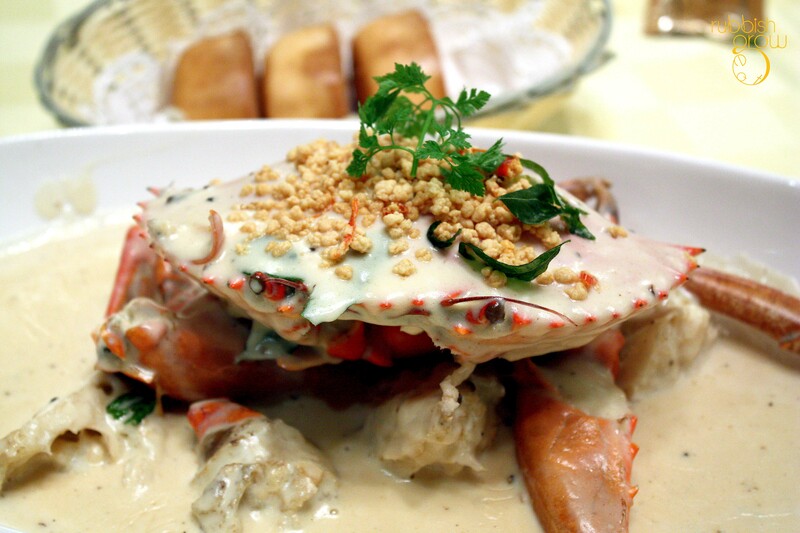 The dish that made 30 restaurants in ten years: Creamy butter crab 金沙奶油螃蟹 (market price) comprises evaporated milk, white pepper, butter, sugar, curry leaves, chili and lemongrass. 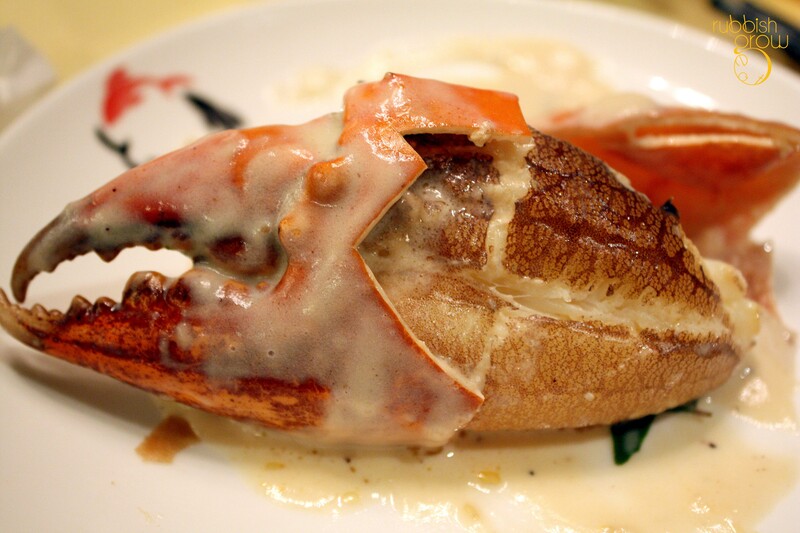 The Sri Lankan crab is so plump and the sweet, creamy sauce permeates completely in the sweet flesh. 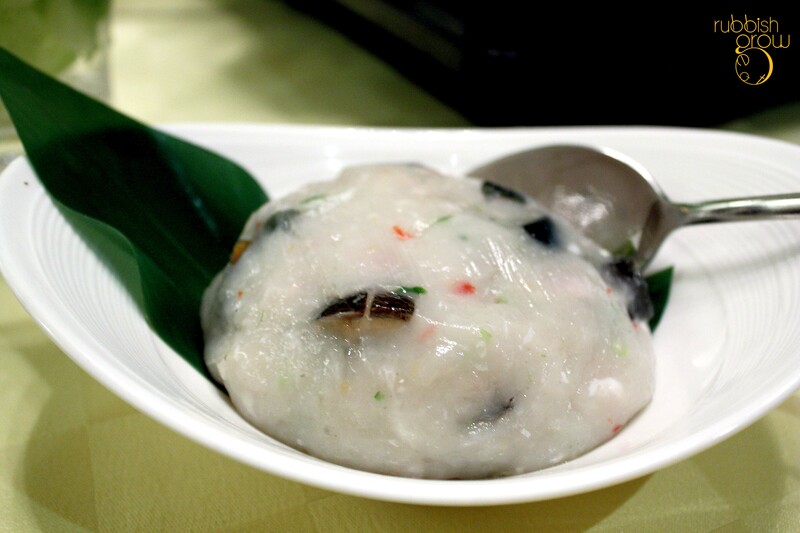 Order all the fried buns 炸馒头 in the restaurant because you’d need them to soak up all the sauce. 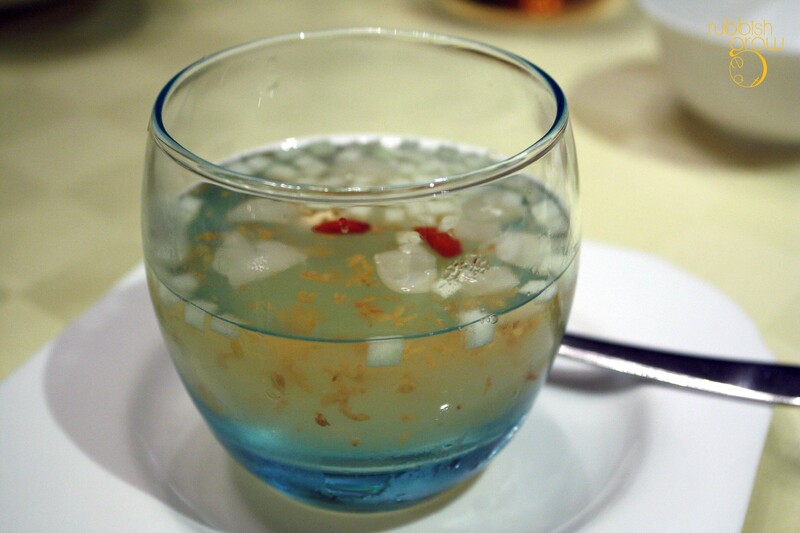 For desserts, I truly regret not ordering the osmanthus jelly with green apple 桂花 ($4.80) which the PR recommended. This item is not found on the menu and only has limited portions a day. Its floral scent and crunchy apple bits in a liquid–almost tasting like aloe vera–are light and refreshing. A great way to end a meal. That being said, I thoroughly enjoyed my cream of mango with fresh pomelo and ice cream 杨枝甘露雪糕 ($6.50), which isn’t too sweet and the bitterness of the pomelo adds variation. ps: Thanks, Carlyn and Seafood Paradise, for the invite. Wow, I did not know Paradise Group has ventured into steamboat. The Spotted garoupa looks fresh. I am sure it is expensive! Super fresh. Just delivered that day!